Russian broadcaster CTC Media and the country’s largest media holding company, National Media Group, are to create a single joint online TV platform, More.TV. The pair will create the new platform as a virtual TV and video-on-demand operator, offering a distribution network for streamed TV channels and popular Russian and international content that will be available either free of charge supported by advertising or through a subscription VOD model. The pair said that More.TV could be integrated with the set-tops of leading TV operators and the OTT TV services of mobile telecom players. CTC and National Media Group have named Denis Gorshkov as head of the separate Skolkovo-based digital business set up to house the new project, M3. Gorshkov was previously general director of Amedia TV, where he was responsible for the development of the Amediateka OTT TV service and the Amedia group’s pay TV channels. The launch of the service is envisaged for early next year, and the pair said they were actively recruiting technical and commercial staff. Olga Paskina, general director of National Media Group, said that the project was “an important step” towards creating a user-friendly TV experience for Russians and added that the creation of More.TV would allow the group to fulfill its vision of a unified system for “the production and monetization of content in all environments”. Vyacheslav Murugov, CEO of CTC Media, said that the launch was a further step towards enabling the company to reach the widest possible audience for its content. The development of More.TV follows the teaming up of CTC, National Media Group, state-backed broadcaster Pervyy Kanal (Channel One), and VGTRK – the All-Russia State Television and Radio Broadcasting Company – last year to create Vitrina TV (Showcase), a common online platform for Russian broadcasters on the model of Hulu. Missing from the group of participants in Vitrina TV was Gazprom Media, Russia’s other leading media group. 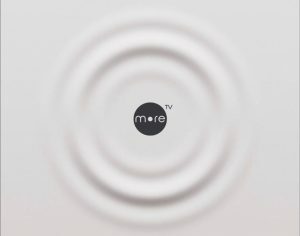 More.TV will sit on the Vitrina TV platform. National Media Group has a 25% in Pervyy Kanal, which is majority-owned by the Russian state with a 51% share with the balance being held by Russian billionaire Roman Abramovich. National Media Group and CTC Media had earlier joined forces to create a unified back-office infrastructure through a joint venture in which National Media Group held a 51% stake and CTC held 49%.